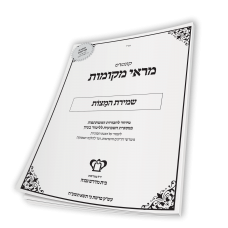 Explores the fundamentals of Bedikas Chametz, and discusses whether it is part of the.. Focuses on the sugya of Chadash in our times. Discusses whether this issur is relevant in chutz la’a..
Discusses the Mitzvah of retelling yetzias mitzrayim to one's child on the night of Pesach. .. Focusing on the mitzvah of Sippur Yetzias Mitzrayim, specifically on the&nb..
ספירת העומר בזמן הזה This first part of this series will focus on Sefira in our times, discussi.. 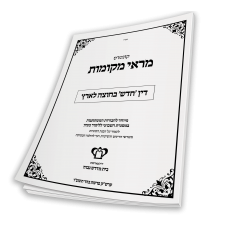 Defines the parameters of "shimur l'shem matzoh", along with the various opinions in the Rishonim an..
A sequel to the previous sugya of Bedikas Chametz. Discusses the opinion of the Rishonim who ho.. Focusing on the Mitzvah of eating Matzoh during the seven days of Pesach. Specifically discussing th..
Sefiras Haomer - Days and WeeksFocusing on the chiyuv of counting the “days” and the “weeks” of Sefi..
TemimosFocuses on the Halachos when one forgets to count Sefira, and how this&nb..
A treasury of thoughts on Hallel and Shira culled from the teachings of our Roshei Yeshiva, Maran R..